Recently, Findlay was named the #1 Micropolitan community in America for the 5th time, a distinction that comes from Site Selection Magazine. I had the pleasure of attending an event celebrating this distinction. It was fun to be in a room full of people who love our community and work together to make it better. Afterwards, I was thinking about what it means to be a micropolitan community. By definition, a micropolitan community has a population between 10,000 and 50,000. These communities are sprinkled all over the US, however, many of the top ones are found right here in good ole Ohio. To be number one 5 years in a row, though, takes a winning formula – The Findlay Formula, they call it. But what makes us different than all of those other communities? From where I sit, it’s the ability to work together to make things happen. Things like bringing business to our community; things like a vibrant downtown; things like supporting locally owned businesses; things like city and county government collaboration and so many more. I am not from here, nor did I grow up around here. I came to this area by way of career and marriage. While driving through the city with my now husband, I pointed to the Marathon Building and asked if that was the hospital. I also remember saying that I would never learn to drive around Findlay. I was a small town girl in the big city. When you grow up in a town of 1600, Findlay is definitely a big city. My hometown had two stop lights and no fast food restaurants. Many of the businesses in Findlay, I had never heard of before. Honestly, I had never really heard of Findlay! But I am so glad to be a part of this wonderful community. When our son was getting ready to enter school, my husband and I talked about whether we wanted him to go to a small school, like we did, or Findlay City Schools. We choose Findlay and I am so glad we did.  Findlay has everything I want – chain retail stores and small town boutiques; fast food restaurants and locally owned eateries; quality local theater, a wide variety of entertainment acts and places to sit outside and eat, drink and talk with friends. Findlay has everything you want, including local coffee shops and entertainment! I feel safe walking on sidewalks in residential neighborhoods, playing with my son at a local park, driving around with my windows down or leaving my windows open at home. I am lucky enough to work downtown, and I love being able to walk at lunch, or sit outside and enjoy the warm sunshine on my face. I feel protected because I know that our police, sheriff, fire and rescue departments are standing watch and will be there if they are needed. This community is a community of givers. We support non-profit organizations and charities who help people through all walks of their life. Our local companies are filled with generous employees who not only give financially but give of their time also. Findlay is a community of givers – both financially and with their time, The Miracle League and Park of Findlay is a great example of both! Even though I did not grow up here, the people in this community have embraced me and made me feel like I’ve lived here my whole like. To me, Findlay is a big small town, and I’m very okay with that. If someone were to ask me, “Why Findlay,” I’d say, “Why not Findlay?” To me, that’s the Findlay Formula. This blog post was written by Visit Findlay Blogger Kellie Bibler. Kellie is a business owner, baseball mom, and community champion. That isn’t much is it? Learn more about Kellie and read other articles by her here!